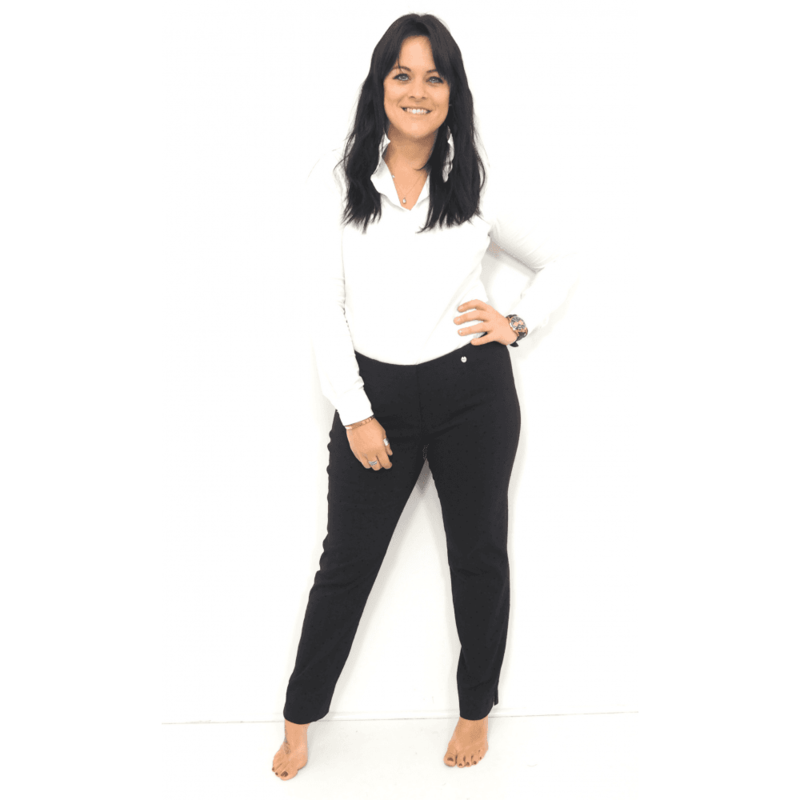 The Robell full length, straight leg Marie Trousers have been cleverly designed in Germany for ladies looking for trousers that fit perfectly. Styled with a comfy pull on design and no zips or fastenings they feature clever seams at the back, a flat elasticated waistband and create a beautiful shape with comfort and style in mind. Finished with a fun polka dot detail these trousers will soon be your go to pair. It is said that once you have tried a pair of Robell trousers you won't want to buy any other!